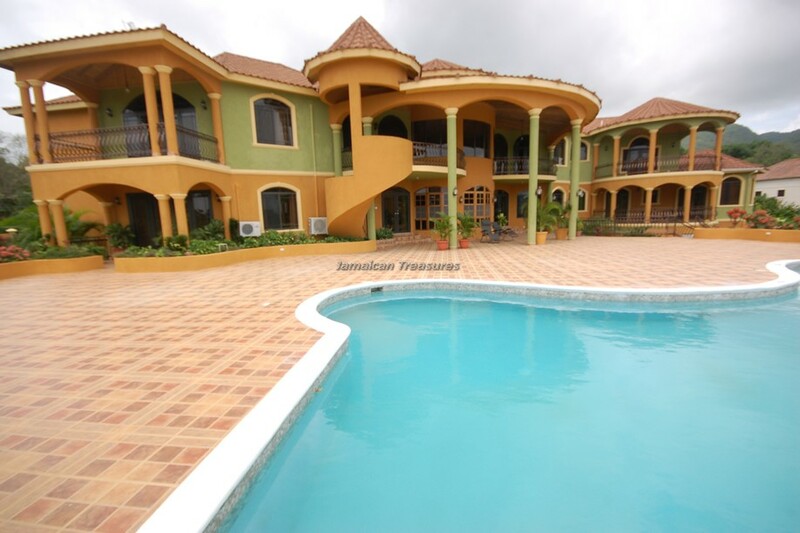 Large mansion with 10 bedrooms, 10 bathrooms, infinity swimming pool. Located in the prestigious Spring Farm neighborhood - driving through the gates of the Half Moon golf and Country club. 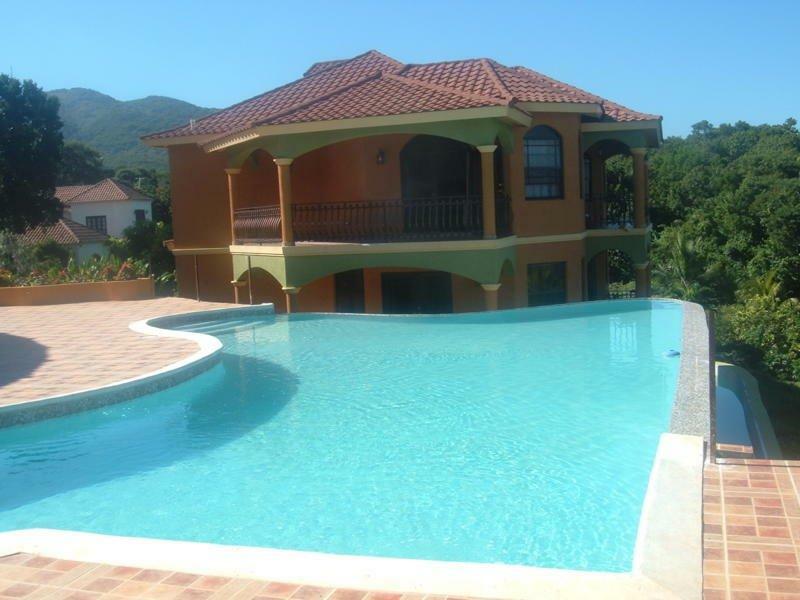 Villa with Internet WiFi, Flat screen TV, butler service, chef, laundress, housekeeper, gardeners. Also has a gym. Great for weddings of up to 200 persons! 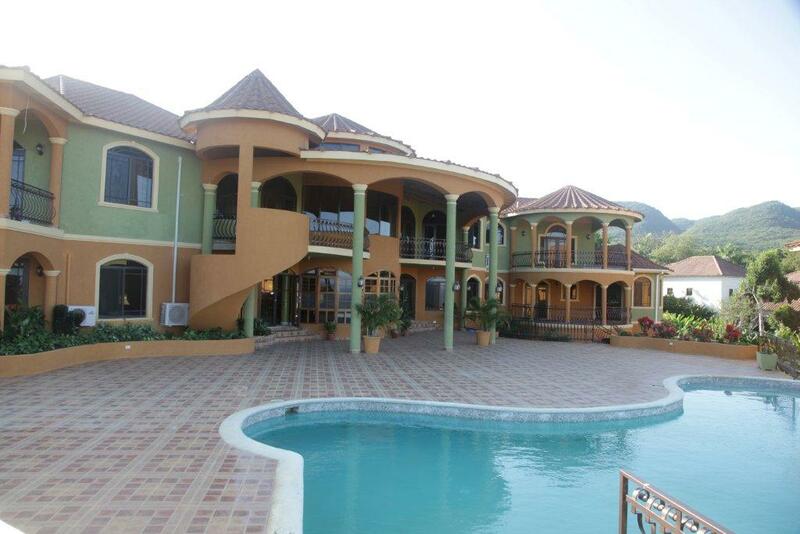 ** over 20,000 sq ft !! 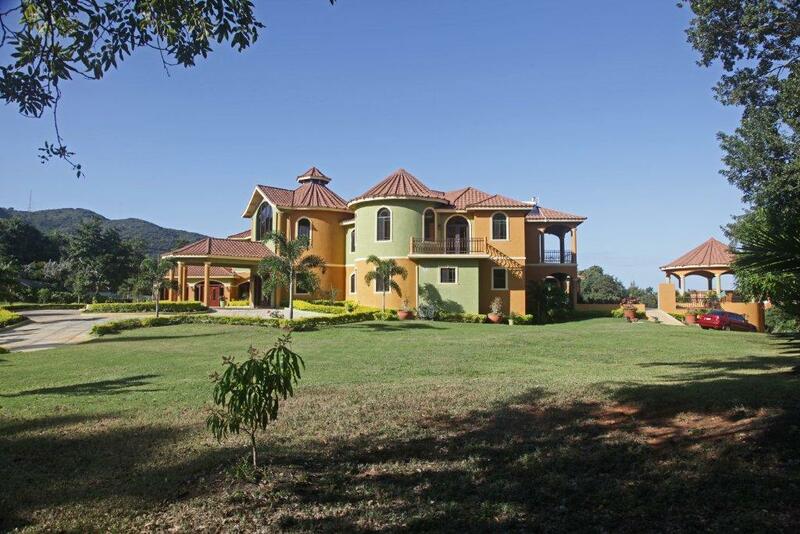 Nested in the hills across from the Half Moon Hotel at Spring Farm Estate, Montego Bay, Jamaica. 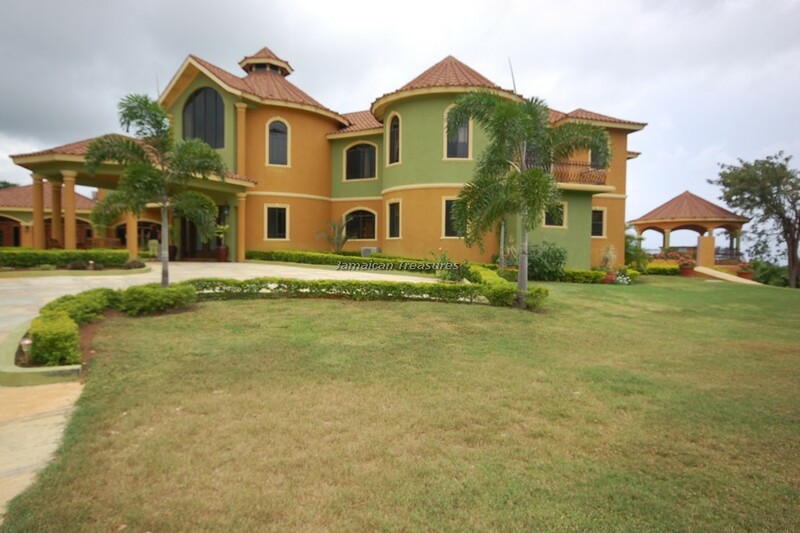 This eight bedroom villa sits on two acres and within walking distant to the the Golf Course in the tourist capital of Jamaica, and 5 minutes drive to Jamaica's largest Conference Center. Ideal for a group of friends,company executives, or a family reunion. 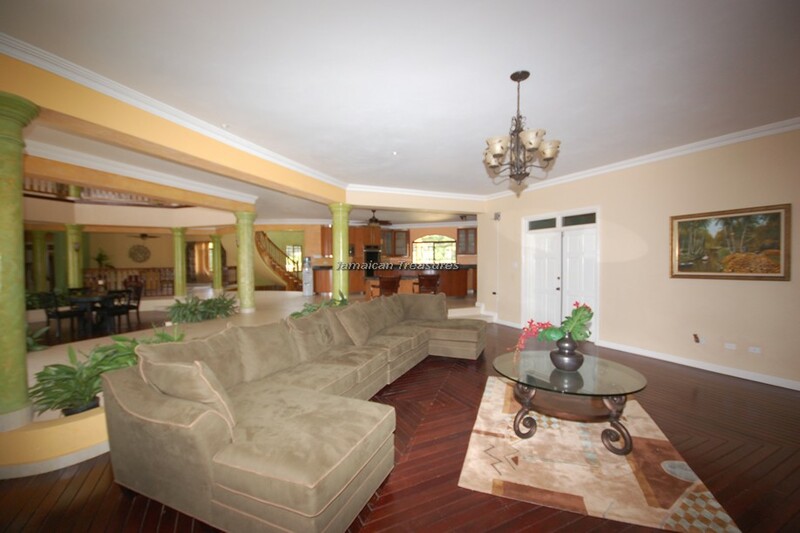 This eight Bedroom vacation + 4 bedroom villa offers pure luxury on two acres and within walking distant to the the Golf Course in the tourist capital of Jamaica. There is the Half Moon Golf Course, Ritz Carlton's White Witch of Rose Hall, Cinnamon Hill Golf Course. 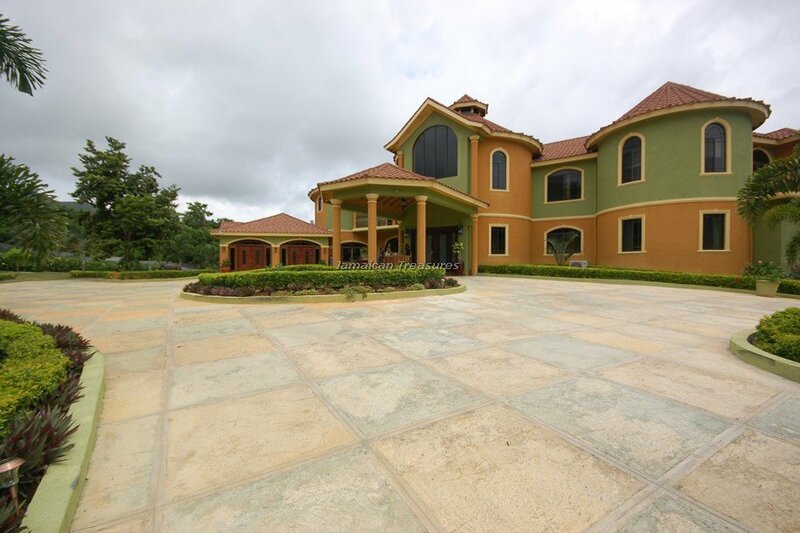 You are also five minutes drive to Jamaica's largest Conference Center, ten minutes to the Donald Sangster International Airport. Shopping is available either at the Half Moon shopping complex or downtown Montego Bay. **Suite type rooms with refrigerators. GROUND FLOOR - Bed #2- 2 Doubles - Ensuite with a bathtub/shower combo. Walk out to pool deck, ocean view. 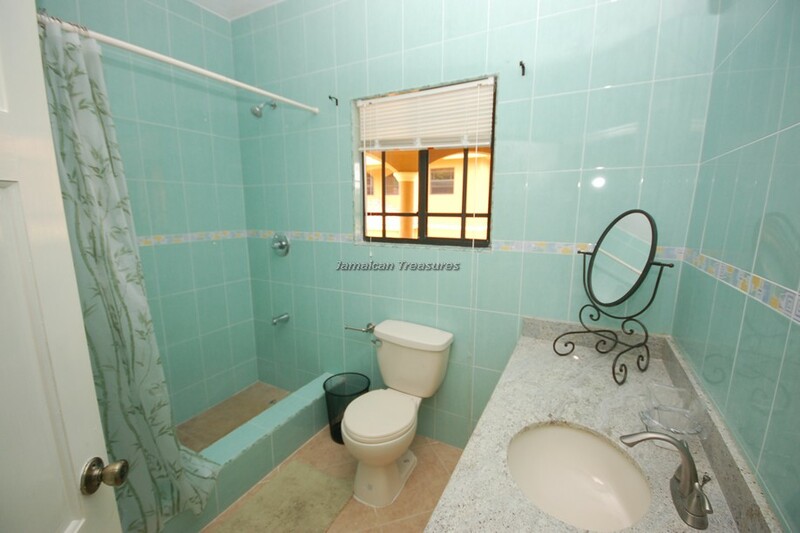 GROUND FLOOR - Bed #4 - king -Ensuite with a bathtub/shower combo, pool view and obstructed ocean view. 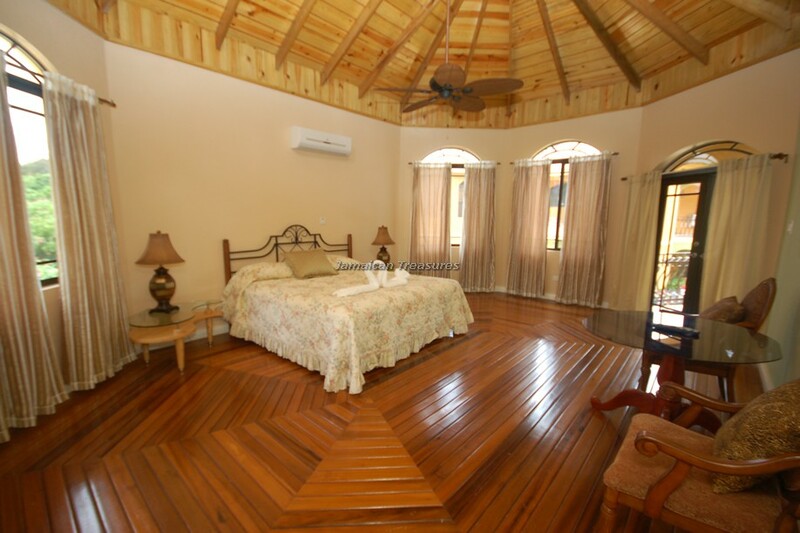 UPSTAIRS - Bed #5 - Double Bed- Jacuzzi tub, shower, Private balcony, ocean and pool view. GROUND FLOOR - Bed #10 Suite downstairs basement, King, kitchenette, Bathtub/shower combo. 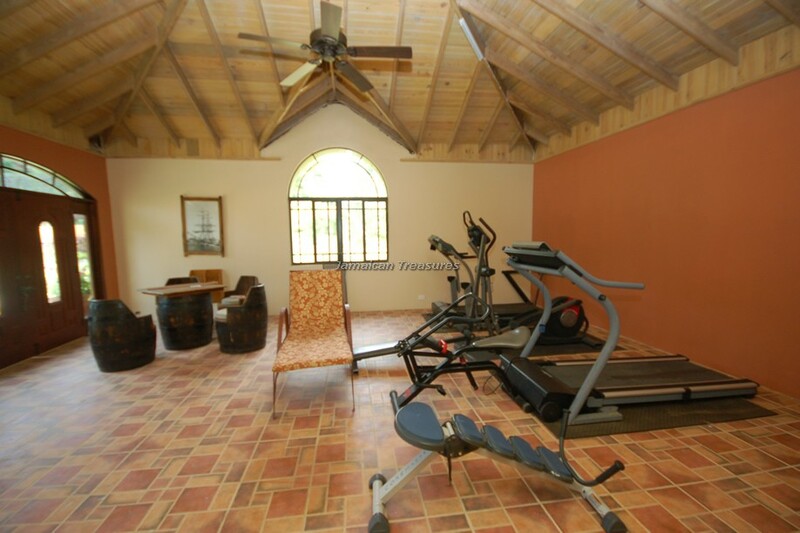 This spacious villa has high cathedral ceiling with panels and floors in natural local woods throughout. The public area of the building is open with one area flowing effortlessly in another. Step in the foyer area with our beautiful double staircase, a crystal chandelier and a beautiful bouquet of fresh flowers to welcome you to Millbrook Resort. The sitting area is decorated with natural woods and fabrics easy on the eyes with a view of the entire area. The indoor bar with granite top and leather and wood bar stools, stocked with your favorite wines and liquors this is a cozy area to lime with your group. Relax in one of our over plush sofas and watch your favorite movie or just log on to the free wifi or curl up and relax. 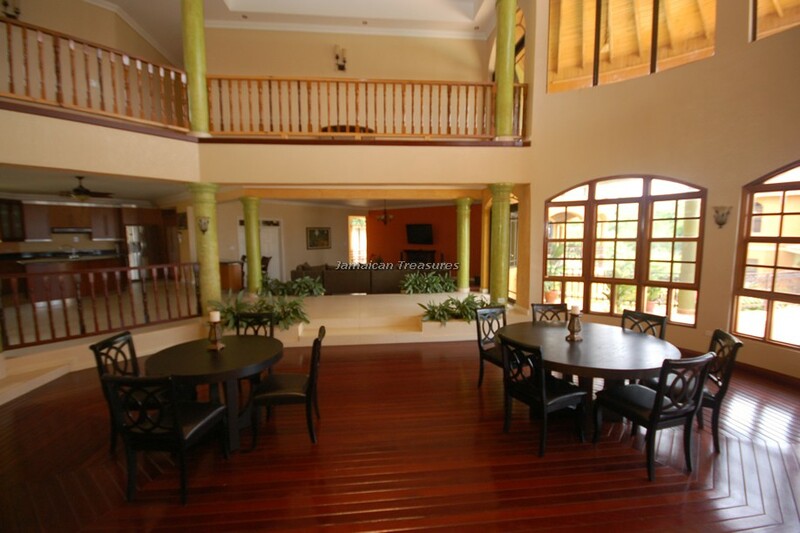 Step to the sunken dining area and our dining table, made of local wood with glass inlays decorate with candles and fresh tropical flowers our butler and waiters are ready to serve you a gastric delight prepared especially for you by our resident chef. Our table can seat18 dinners, with space for additional tables to accommodate your entire group at one setting. 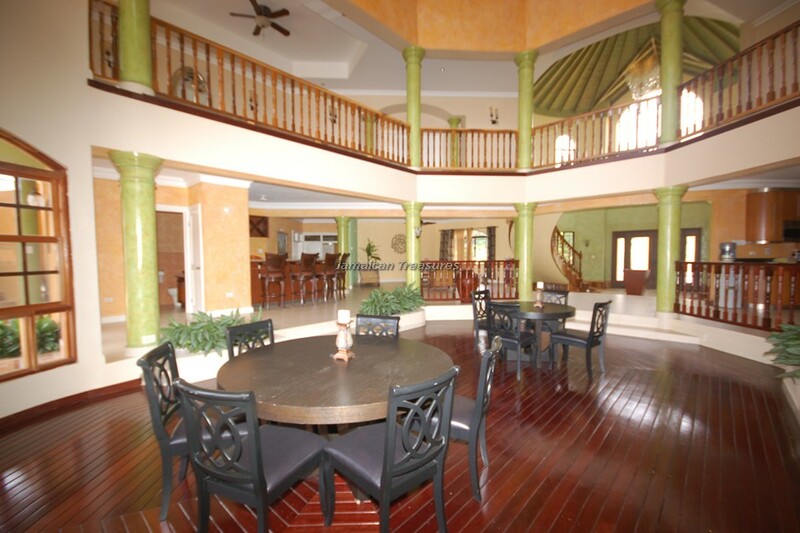 Our open concept for the Villa put you in close contact with our chef and you can actually get a lesson in preparing your favorite Jamaica meal. 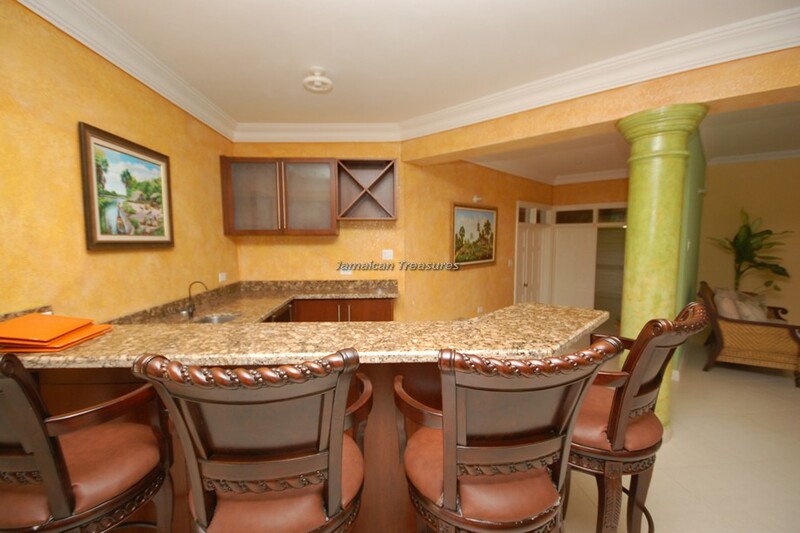 The Kitchen is furnished in local woods with granite counter tops and stainless steel appliances. Step up to the kitchen and ask the chef to prepare your meal to your specification because at Millbrook your wishes are our command. 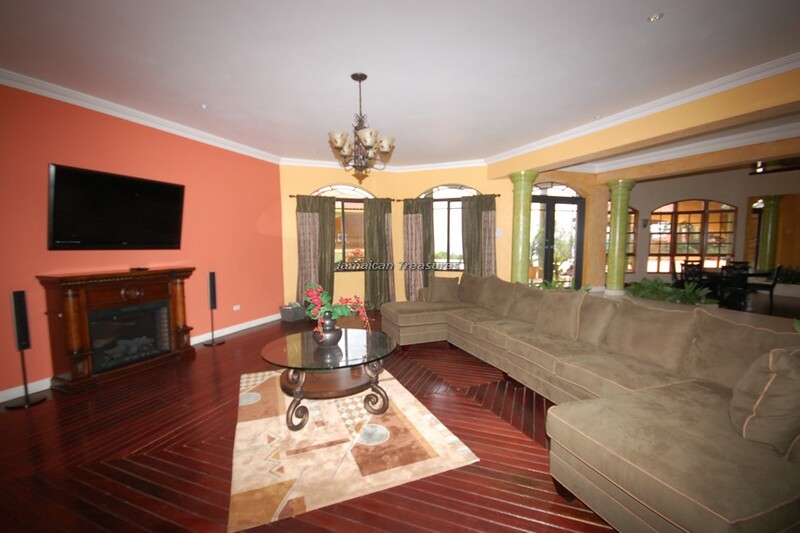 1 Executive Master suite has a specious bedroom with high ceiling tastefully decorate with a love seat, mahogany canopied bed and attendant furnishing. A sitting room with mini fridge and wine stand, a table and chairs for dinning for two. Your Suite also has a Walk in closet, bonus room, dressing room, large bathroom. 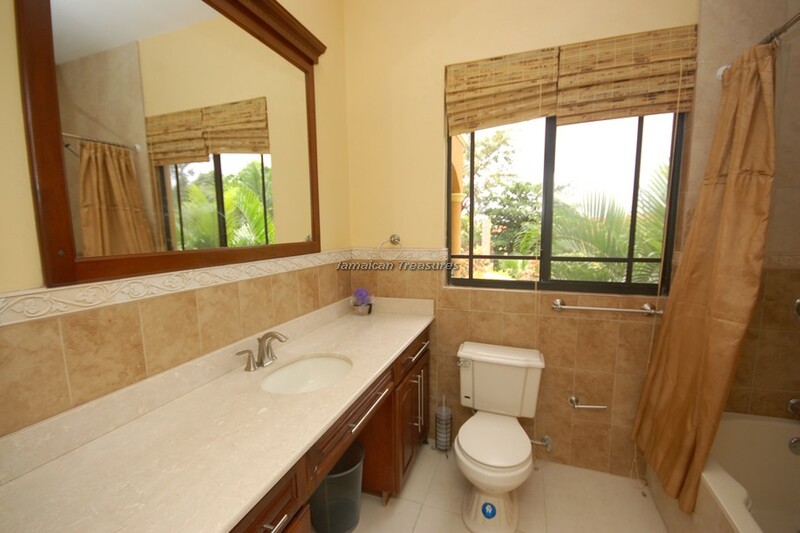 The bathroom is fitted with double shower stall, Jacuzzi unit for 2, bidet and double face basins. Relax on any of the two balconies, one with a sea view and one with a garden view. Room 1 :-Furnished with 2 double beds and attendant furnishing this room can accommodate an additional bed .With a walk in closet and private bathroom with shower and bath combo. The theme for this room is pastel elegance. 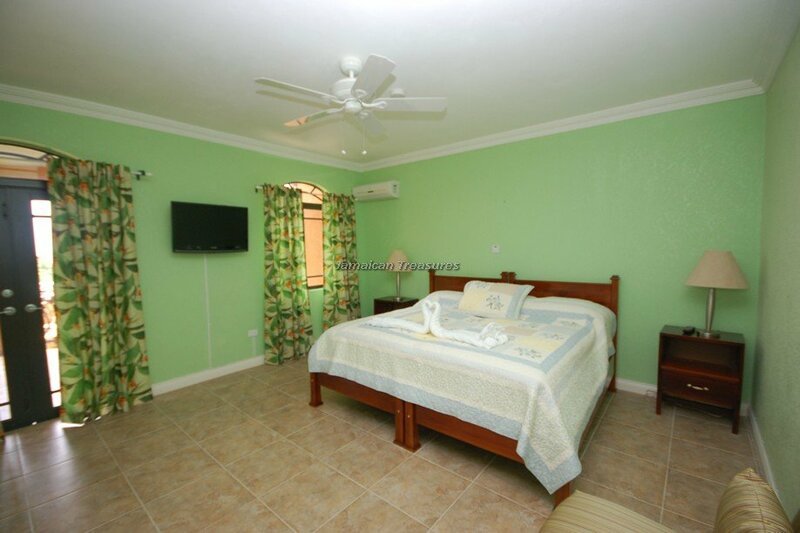 Room 2:- This room has direct access to the Pool Terrance sea views from the window and the private patio. 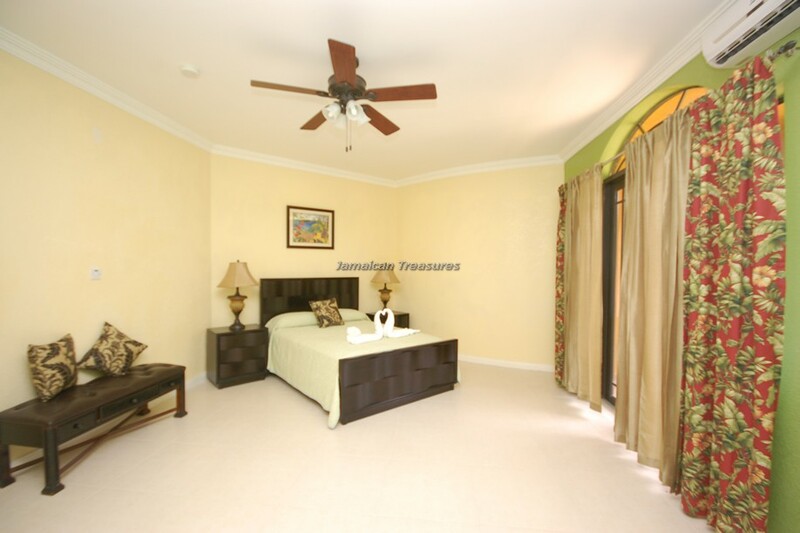 Furnished with 2 double beds and attendant furnishing this room can accommodate an additional bed .With a walk in closet and private bathroom with shower and Jacuzzi bath combo. Painted in rich Maroon and Pastels tones. 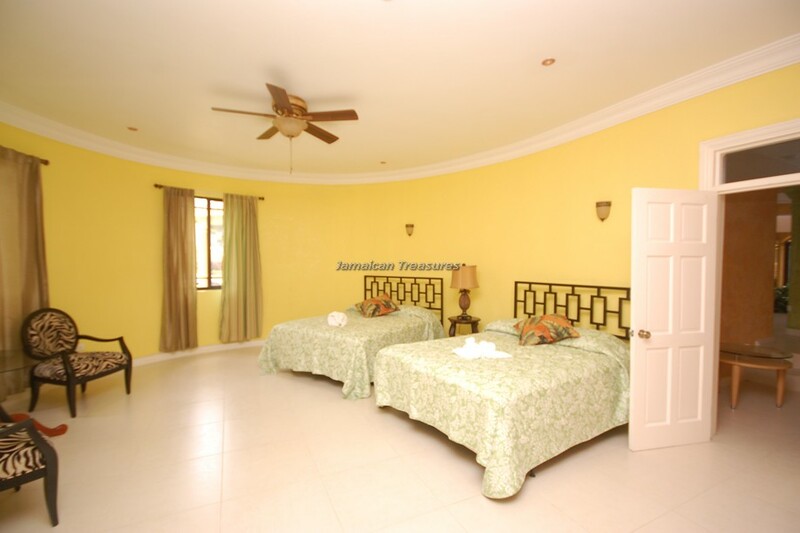 Room 3:- This room has a double bed and attendant furnishing and space for additional bed walk in closet and sea views. A balcony and a wing share by room 4 this could be great for a family unit. 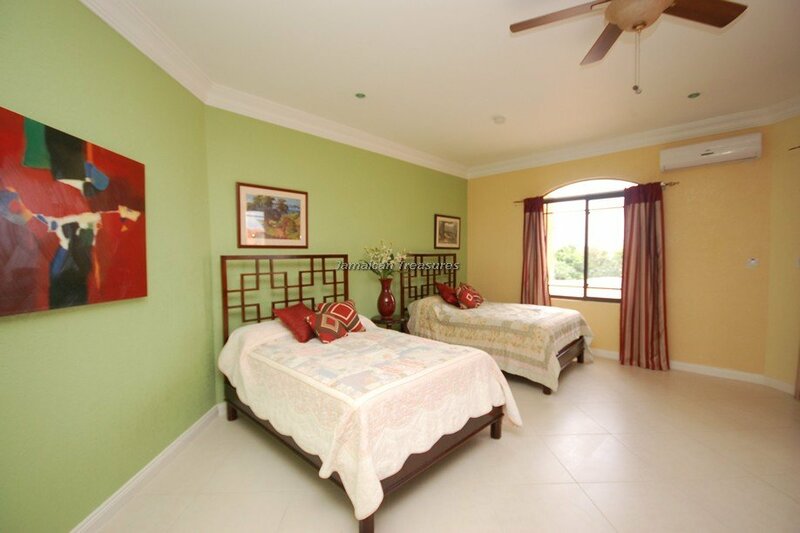 Room 6:- This room has direct access to a private balcony with ocean views from the window and the private patio. Furnished with 2 double beds and attendant furnishing it has high wooden ceilings and floor, this room can accommodate an additional bed .With a walk in closet and private bathroom with shower and bath combo. Rooms 7:- This room has a double bed and attendant furnishing and space for additional bed walk in closet and bath and shower combo. A private balcony with garden views. Room 8:- This room has a double bed and attendant furnishing and space for additional bed walk in closet and bath and shower combo. 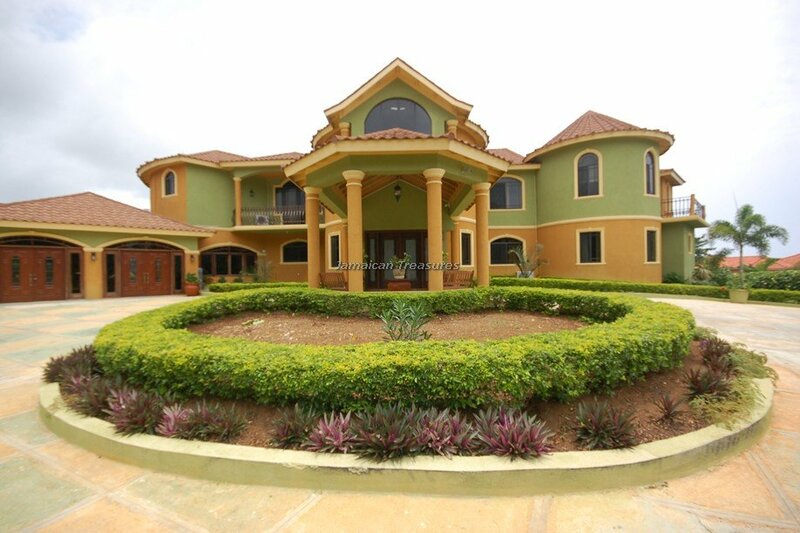 The presidential cottage is a smaller version of the main villa and while it is smaller it is big in charm and comfort. Our open concept for the public areas gives you the feel of space and relaxation. Nestled in lush tropical gardens with tropical fruit trees and flowers you know you are in paradise. With 4 balconies it is easy to find your own spot to relax. Have our butler serve you one of our bartender’s specials, relax and bask in the beauty that abounds because at Milbrooks Resort you are Royalty. 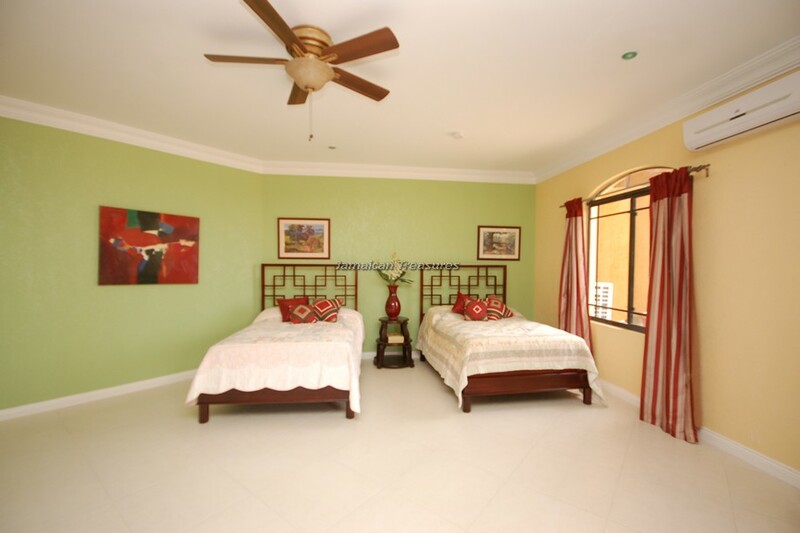 Room 1: A Large room with a king size 4 poster bed and attendant furnishing this room can accommodate an additional bed . Windows covered with sheer curtains afford you spectacular views of the property. 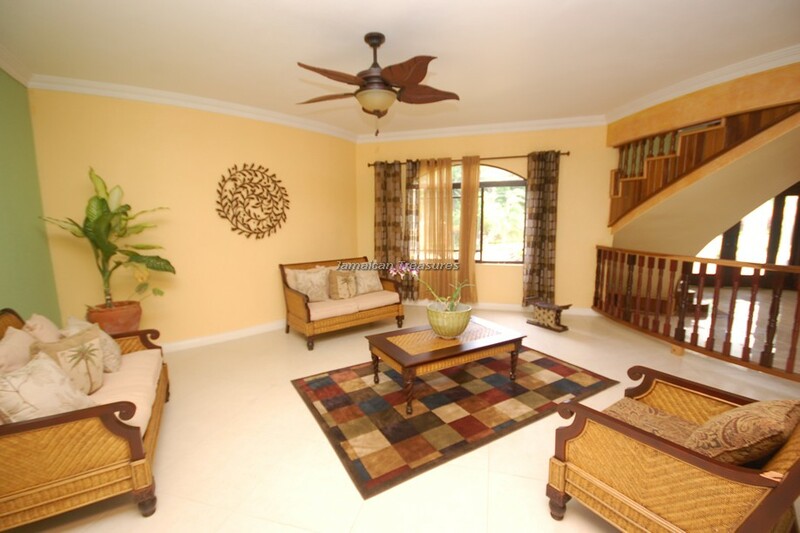 The suite is on the main floor with uninterrupted views of the ocean just steps away. Room 3 :-Furnished with 2 single beds and attendant furnishing this room can accommodate an additional bed .With a walk in closet and private bathroom with shower and bath combo. Windows covered with sheer curtains afford you spectacular views of the property. The suite is on the main floor with uninterrupted views of the ocean just steps away. Room 4 :-Furnished with 2 double beds and attendant furnishing this room can accommodate an additional bed .With a walk in closet and private bathroom with shower and bath combo. Windows covered with sheer curtains afford you spectacular views of the property. 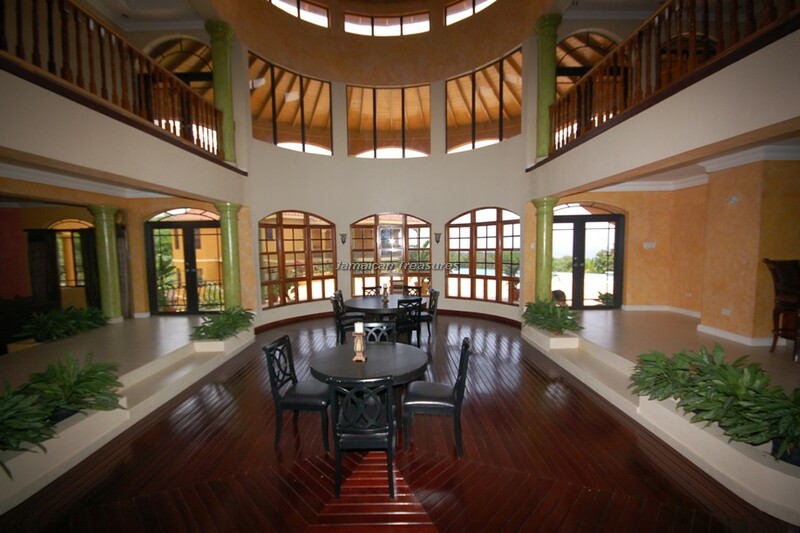 The suite is on the main floor with uninterrupted views of the ocean just steps away. -Infinity pool with a huge huge pool deck! 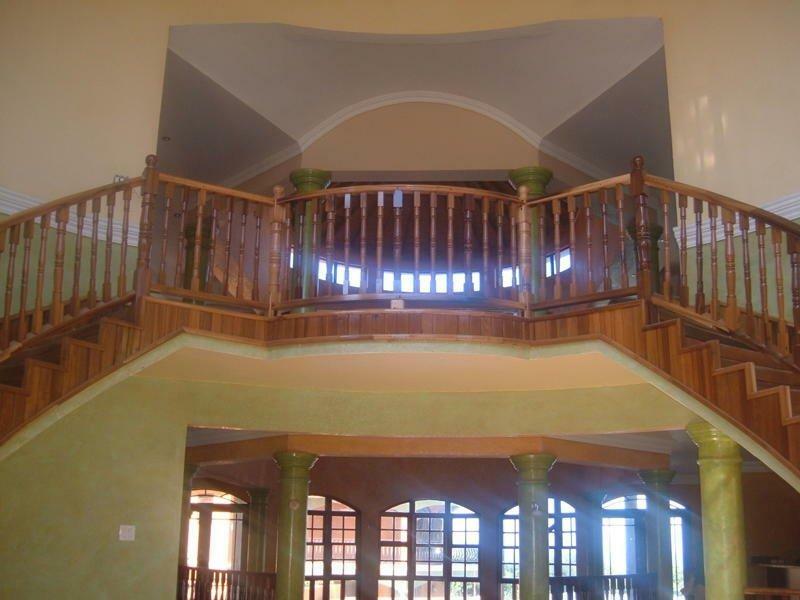 -There are 4 bedrooms downstairs, 5 bedrooms upstairs and a 1 bedroom apartment on the bottom. -Upstairs we toured Room 7 first which has a king bed and private balcony. There was a bathtub and shower. Garden view. -Next we toured Room 8 which has a queen bed. There is bathtub and shower. Garden view. -Next we toured Room 6 which has 2 doubles and access to a balcony. There is ocean view! -Next we toured Room 5 which had 1 double bed. Private balcony. Ocean View! Shower and Tub. 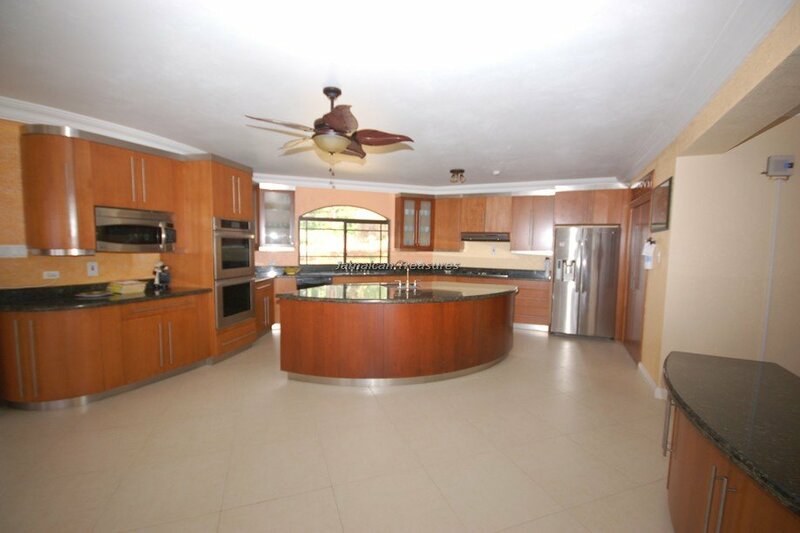 -These first four bedrooms are located on the left wing upstairs. 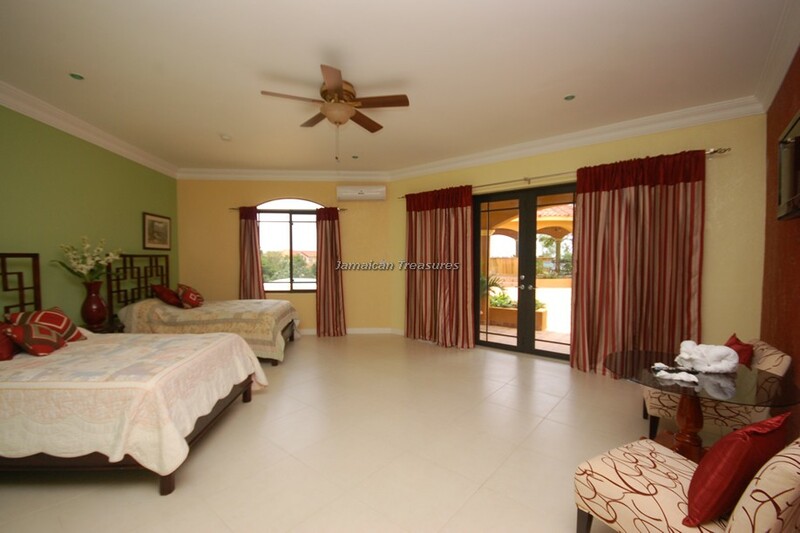 -The 5th bedroom upstairs is the Grand Master Bedroom and is the only bedroom to the right wing of the upper level. -Bonus room off the bathroom hallway in the Grand Master where a crib and rollaway bed can be placed. -Downstairs there was the sixth bedroom which is Room 1. -Downstairs we toured the seventh bedroom which is Room 2. -2 double beds and bathtub/shower. -Downstairs we toured the eighth bedroom which is Room 3 with a queen bed and garden view. Shower. -Downstairs we toured the ninth bedroom which is Room 4 with a King sized bed. These two bedrooms (Room 3 and 4) have a shared balcony. -The apartment on the lowest level – you can enter through an outside entrance or a staircase within the house. 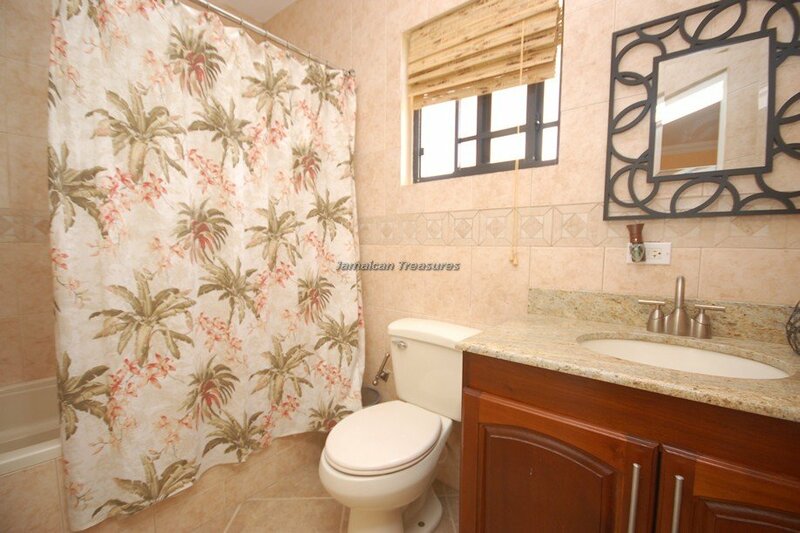 -Bathtub/shower – not in bedroom but still private. -Weddings of up to 200 guests at Millbrook!